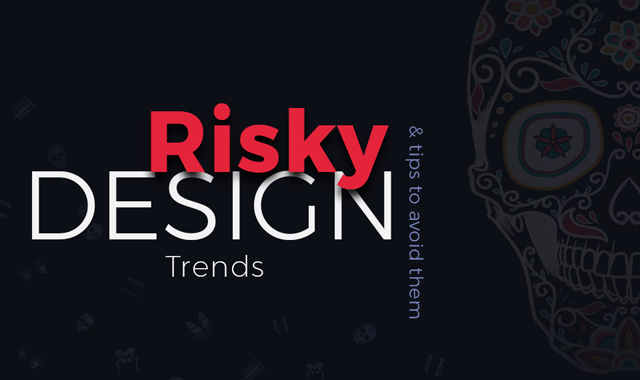 How to Avoid Risky Design Trends #infographic ~ Visualistan '+g+"
What trends do you need to employ responsibly? Why are they so dangerous? What are the ways to escape the risk? 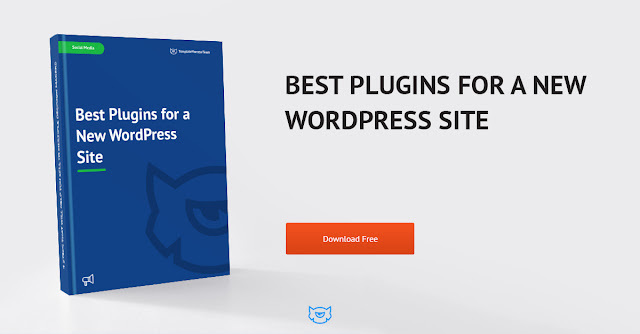 You’ll find answers to all of the above questions in this article, written by creative web design and marketing experts from TemplateMonster.com, a powerful marketplace with a variety of digital products including best WordPress themes for all tastes and purposes that go along with tons of free eBooks and professional 24/7 support. Color psychology is the key when it comes to engaging the users. Vibrant colors add energetic tone to the layout while pastel ones create a relaxing feel. If your business requires a site in bright colors, make sure that you use them wisely. cause poor readability when they are used near the text. avoid using near the main text copy. Such decorative elements as geometric shapes, patterns, lines, circles make layouts visually interesting. It’s better to use them for some purpose, like pointing out, separating or balancing the text. Otherwise, they can be seen as digital noise. can compete with the main text or navigation. make sure they don’t aggravate readability. Rich UI with animation is a hot trend these days. Full-screen moving images and small hover effects add attractiveness to a website, but it doesn’t mean that you should overuse them. Otherwise, you get a heavy website with increased loading time that challenges users’ patience. don’t overload your site with it. Users find a site with parallax to be more fun, when it is tastefully used, of course. The latter means a reasonable number of floating elements which will not cause motion sickness. avoid using on word-heavy content or eCommerce sites. Atypical compositions are good and trendy until they bring complete chaos to the design. Irregular layouts with overlapping elements should be wisely balanced to create a well thought-out visual hierarchy instead of a mess. can turn the design into chaos. don’t use for content-oriented sites. Looks highly modish and makes the text stand out. Is usually surrounded by negative space. Try to use sparingly, in short paragraphs in order not to make the user’s eyes pop. can be lost on the page. use typography size not less than 13pt. Experimental navigation patterns are the best solution for low content sites where they can bring creative interaction. If you choose this type of navigation, make sure that it is clear, perfectly-linked and user-friendly. Stock photos are cliché, they do nothing to differentiate your business from its competitors. They are used on hundreds of other sites and don’t look professional. Today it’s better to forget about stock and choose only real photos. Remember that most shoppers prefer custom photos. This is a good practice for various galleries and shops, but can turn into a usability nightmare when it is not executed properly. The user feels disoriented when he doesn’t see his current location on the site and when he is not provided with navigation options to move forward. is bad for page load time. We are all tired of the aggressive pop-ups. During the last year they have turned into one of the most-hated UI elements. Properly designed, they show good conversion, but they irritate the visitors. It’s really hard to display enough information in the pop-up without distracting the users. run A/B tests on how best to communicate with users. Originally designed for the mobile interface, this type of menu should be applied on the desktop wisely . A hidden menu is hard to find, especially if the user is not acquainted with this icon. People spend time looking for this menu on the page and it’s not ideal for a user-friendly experience. is confusing when it has too many options inside. support various browsers for correct display of the icon. Background with moving visuals is engaging, but makes it tough to read and digest the content placed above. Apart from that it affects the site load time. When showcasing the products of your company and telling its story, be aware of the length of the video and readability of the content. All the trends mentioned above are subject to some form of criticism today, but it doesn’t mean that they cannot be implemented in designs. By being aware of their dangers, you can easily reduce the side effects. Actually, it’s up to you which trend to use and how to implement it in your design. The golden rule you have to keep in mind - you shouldn’t sacrifice user experience of the site for the sake of looking fashionable.